Hello creative friends! 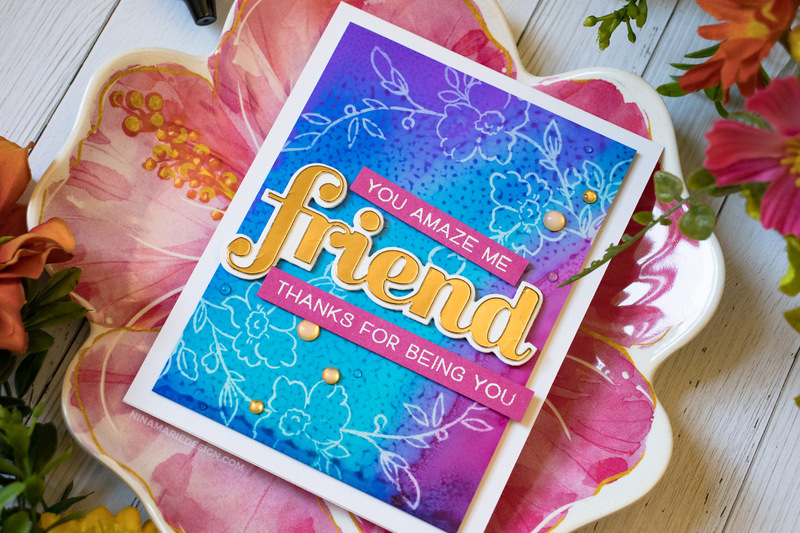 I am back again with you today, sharing three ways to use Simon Says Stamp’s newest STAMPtember exclusive set with Altenew! This pretty set is called Dainty Sprig, and I loved using it so much that I created three different cards with three unique mediums and techniques! I hope that one, two or all of these ideas inspire you to create with this set! This card is my most favorite of all three cards I made! I stamped the Dainty Sprig floral image onto watercolor paper; the sprigs are stamped twice, and I did some masking to create the pretty arrangement. To color everything in, I used Altenew’s Watercolor Pan Set. 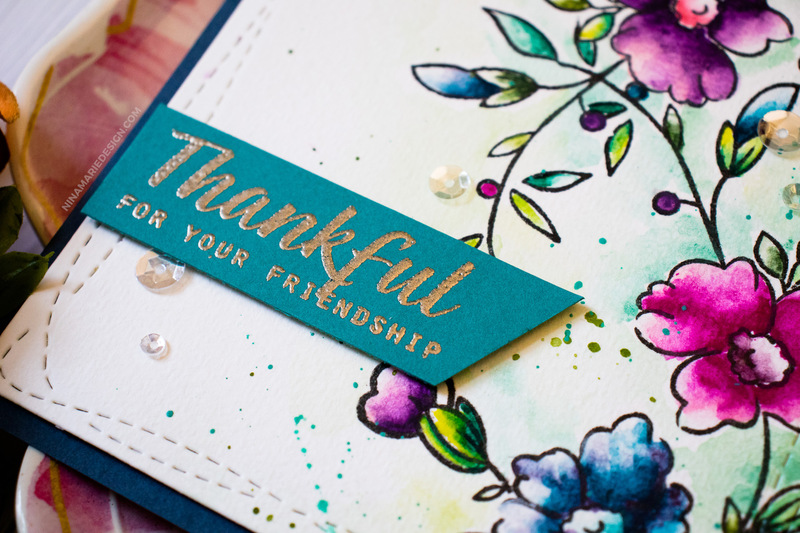 The sentiment on this card was heat embossed with Platinum embossing powder onto Tranquil Teal cardstock from Gina K. Designs. 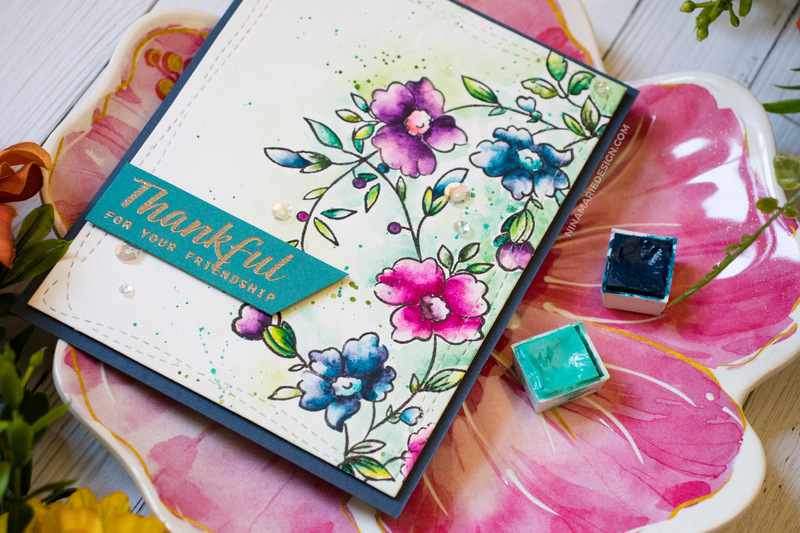 That color of teal matched so well with the Soft Navy cardbase, along with the turqouise colors in the leaves! After watercoloringthe first card, I decided I wanted to do some more Alcohol Lift-Inking! I recently created a set of cards using the Alcohol Lift-Ink technique, which I would encourage you to watch. I used that same process on this card too. The Alcohol Ink colors I used were Aquamarine, Amethyst, Purple Twilight, and Wild Plum. I helped the colors move and blend further by adding a bit of Alcohol Blending Solution. All of the inking was done on Simon’s 86# Yupo paper. 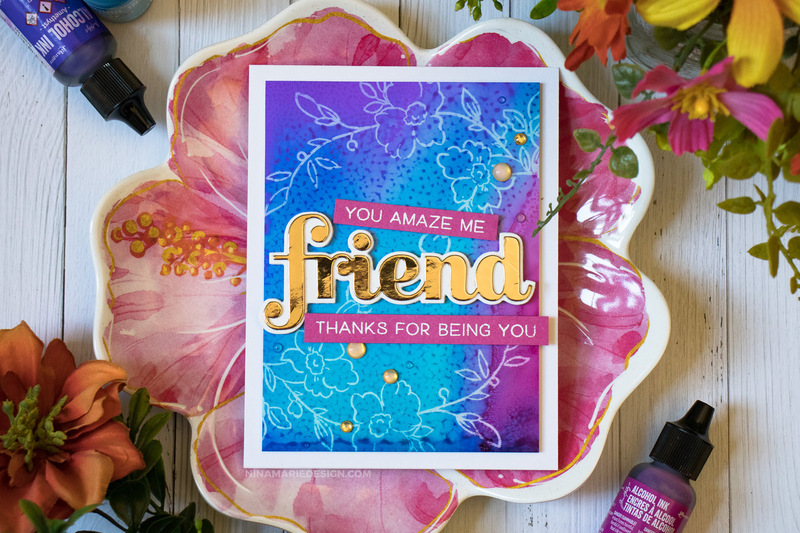 To finish the card, I added sentiments from the new Birch Press Designs Best Friend stamp set and Big Friend Sugar Script die. 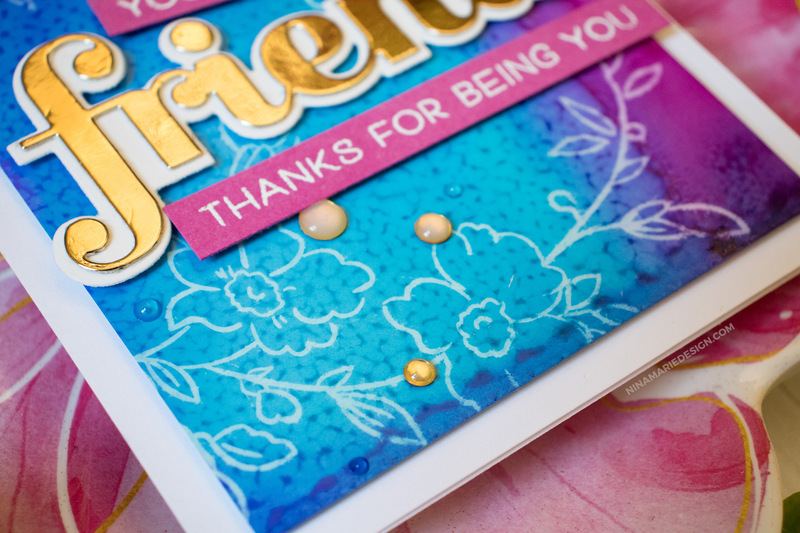 There are also pretty, gold confetti sequins around the greetings for a bit of sparkle! 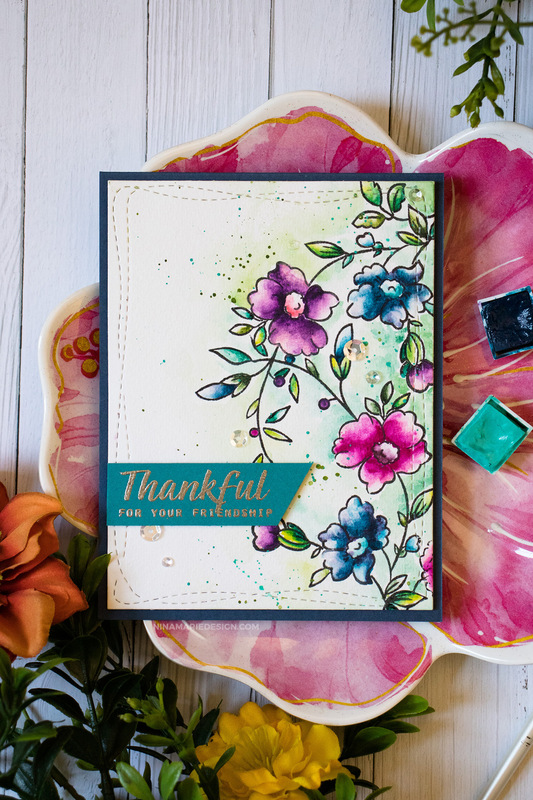 The final card I created with the Dainty Sprig set is this colored pencil beauty! I love using my Prismacolor pencils on dark cardstock. 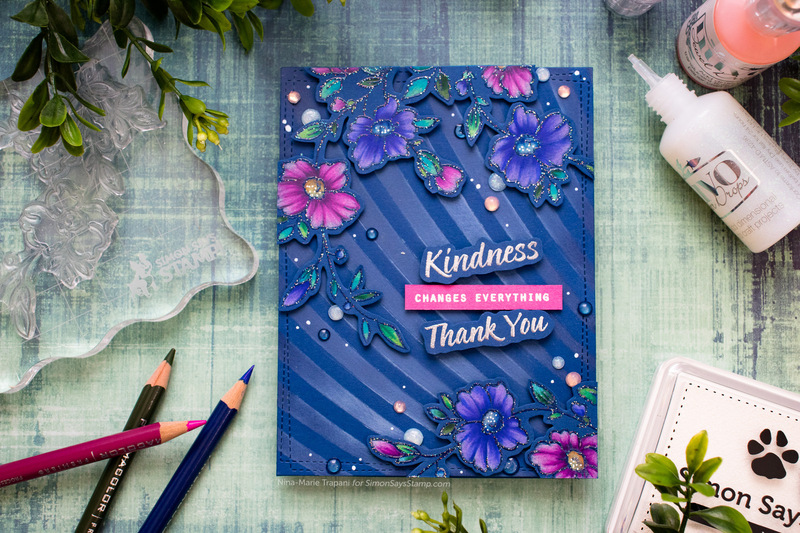 Plus, check out how pretty those florals look embossed with Brutus Monroe Rainbow Sparkle embossing powder! 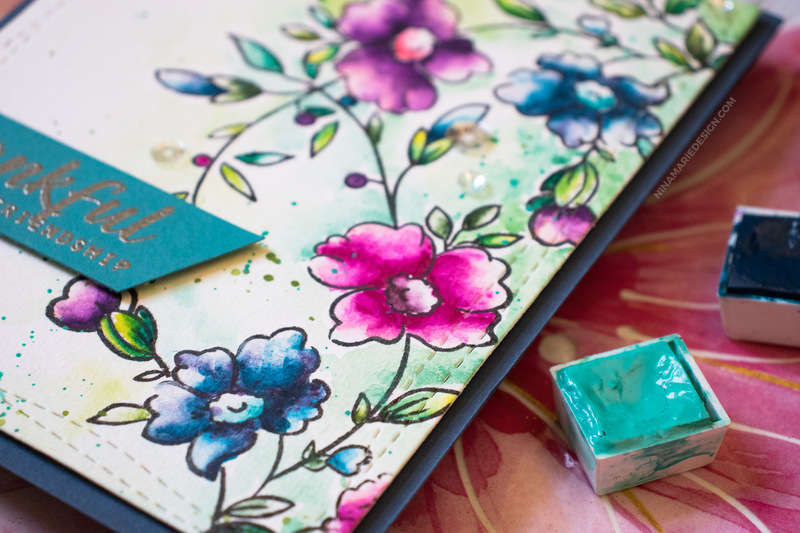 Do you want to see how I made card using the Dainty Sprig set and colored pencils? Then head on over to Simon’s blog! I have a video tutorial there for you to see, that walks you through my process! 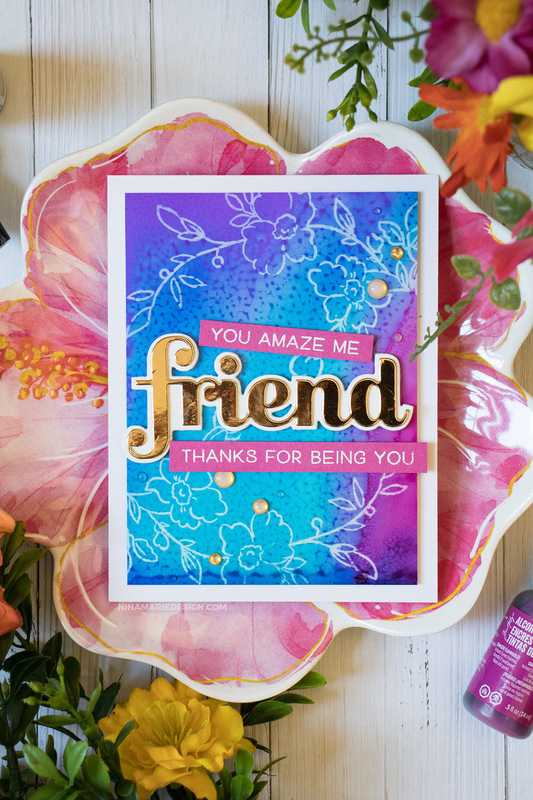 I hope you enjoyed seeing all of these cards and are inspired to create with this STAMPtember® exclusive from Altenew and Simon Says Stamp! 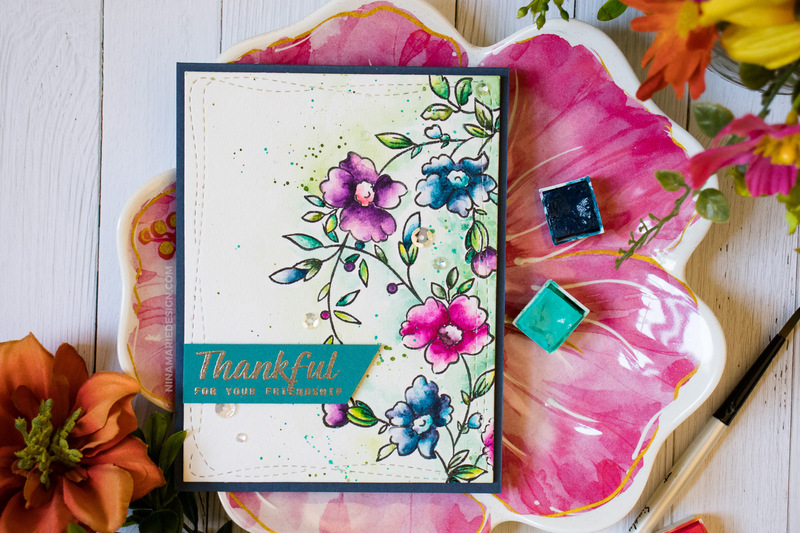 If you love this set, be sure to grab it while supplies last, as these STAMPtember® sets are all limited editions. Thank you so much for stopping by today and visiting my creative space! I will see you again very soon with more inspiration! 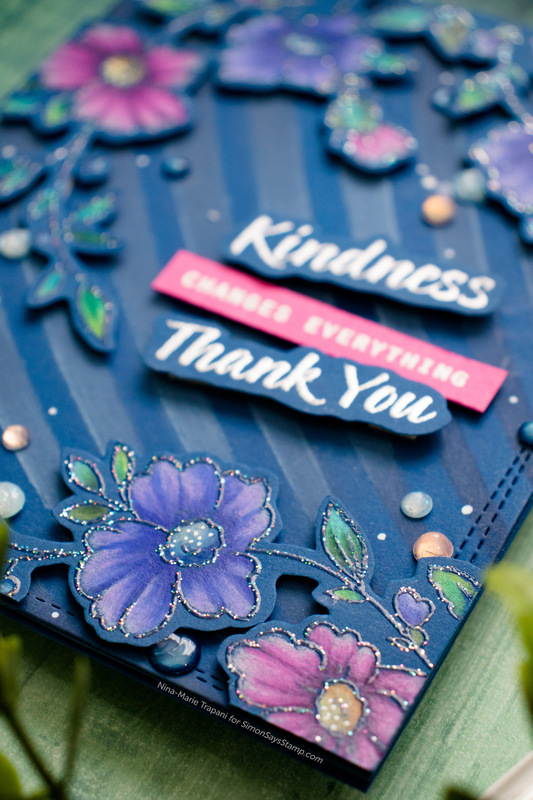 Your Kindness Changes Everthing card stunningly beautiful! I love the depth you created using the stencil and dark blue cardstock paired with the white pigment ink. Thank for the detailed video filled with your techniques. I am inspired! Very pretty cards! I love the flowers! Gorgeous cards…I can’t seem to be able to pick a favorite.